Beep Baseball is an adaptive version of baseball for those who are blind or vision impaired. Beep baseball is designed for those who are blind and vision impaired. The game also requires sighted volunteers to serve some roles to insure safety of all participants. Practices are primarily held at the soccer field located just East of the Roger Knapp Tennis Center on the campus of Drake University. The Tennis center address is 2425 Clark Street in Des Moines. A full game and practice schedule is listed under team information. 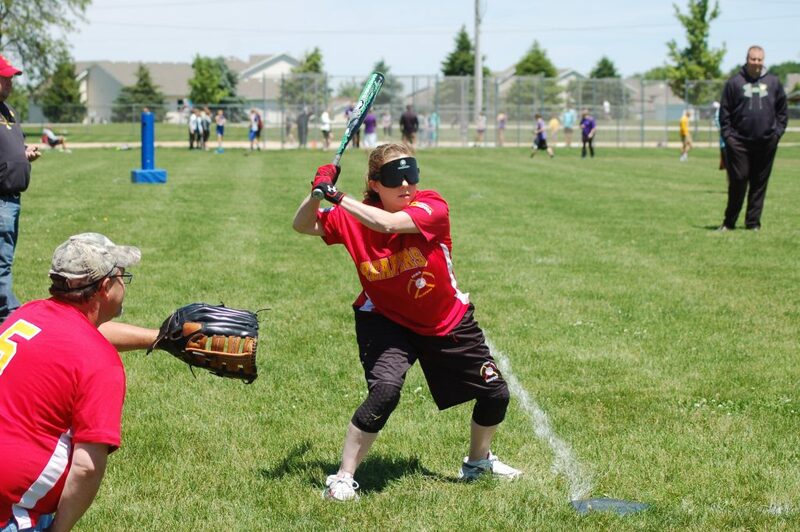 Adaptive Sports Iowa provides the balls, bats, eye shades, and uniform for all volunteers and players. The players and volunteers are responsible for their footwear and any lodging and travel costs for competitions. 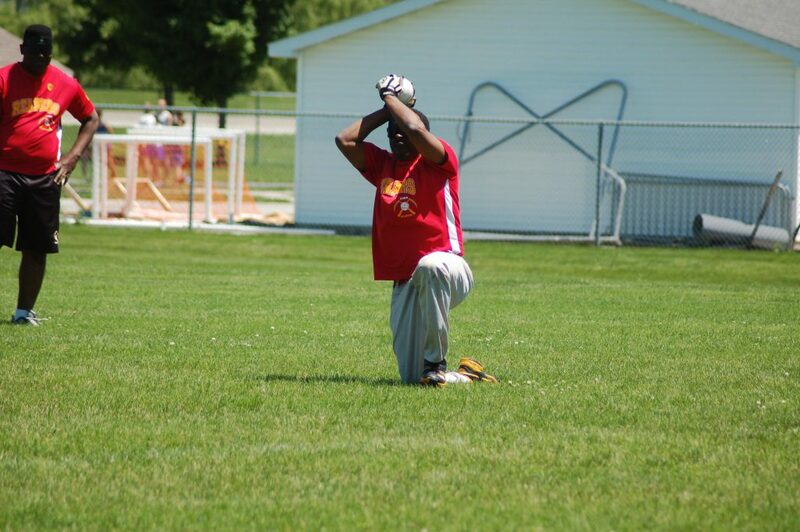 The Iowa Reapers are a competitive beep baseball team organized and operated by Adaptive Sports Iowa. The team practices throughout the spring and summer on Sundays at the Roger Knapp Tennis Center at Drake University located at 2421 Clark Street in Des Moines, IA. No second base, only first and third. Bases are padded cylinders with speakers placed 100 feet down the foul line ten feet off the line. One of the speakers sounds when a hitter connects with a fair ball, and the hitter must then make it to the correct base. They are “out” if a defending player grabs the ball and holds it up before the hitter reaches a base. Beep baseball is an extremely fun game, and Adaptive Sports Iowa is proud to sponsor the Iowa Reapers, Iowa’s beep baseball team. Players of all skill levels are accepted! Get registered today, or contact us at 888-777-8881.